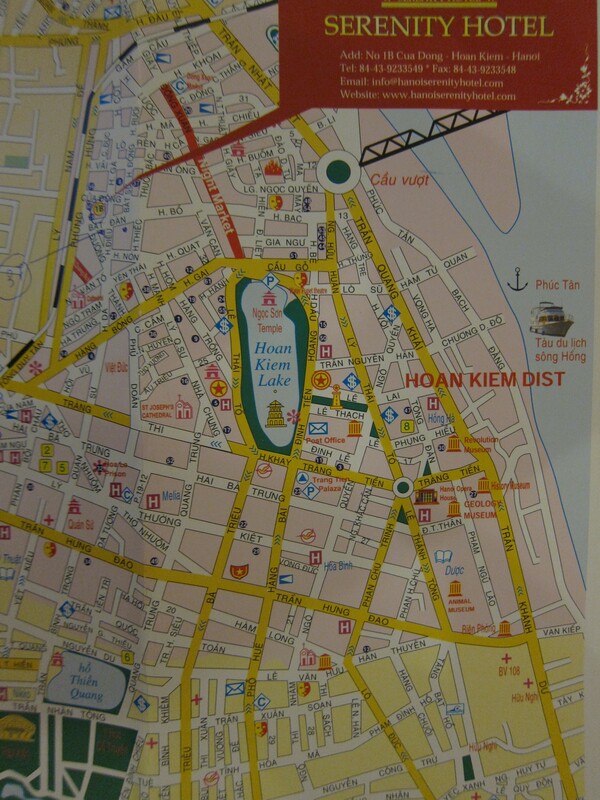 Map of Old Quarter, Hanoi, Vietnam. 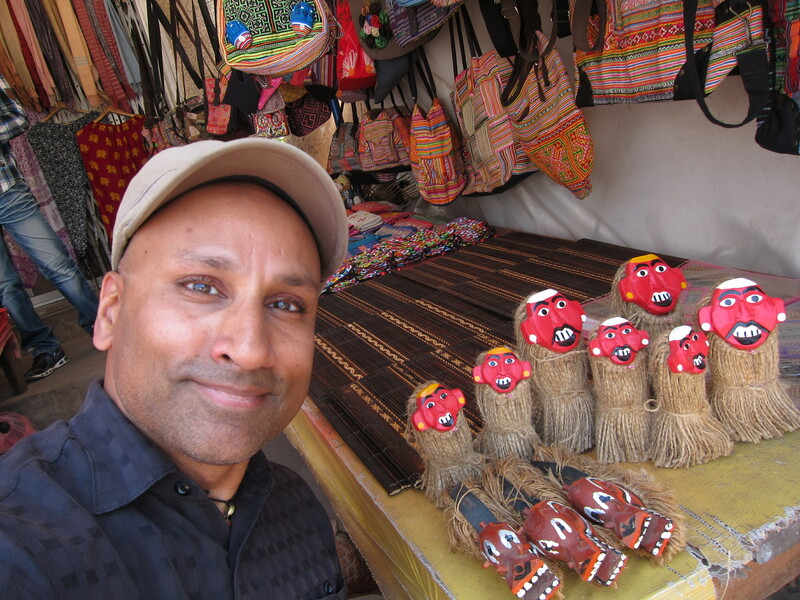 When I was in Vietnam in 2009 I only spent about a half day in Hanoi en route to Halong Bay. 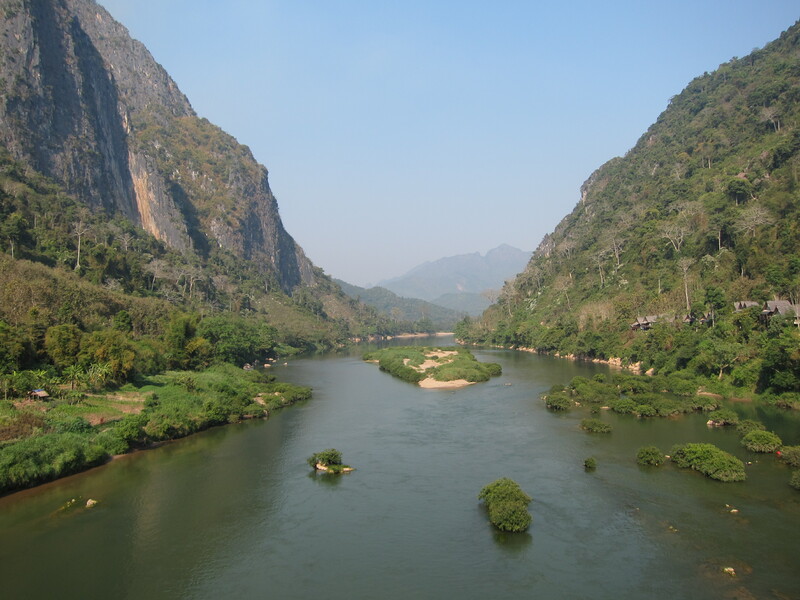 I decided to adapt my current itinerary to go to Hanoi to spend more time there and actually see the place, as well as to experience the cooler weather in comparison to other parts of Southeast Asia at this time of year. Also, I wanted to see if Hanoi might be an agreeable place to take the CELTA class. 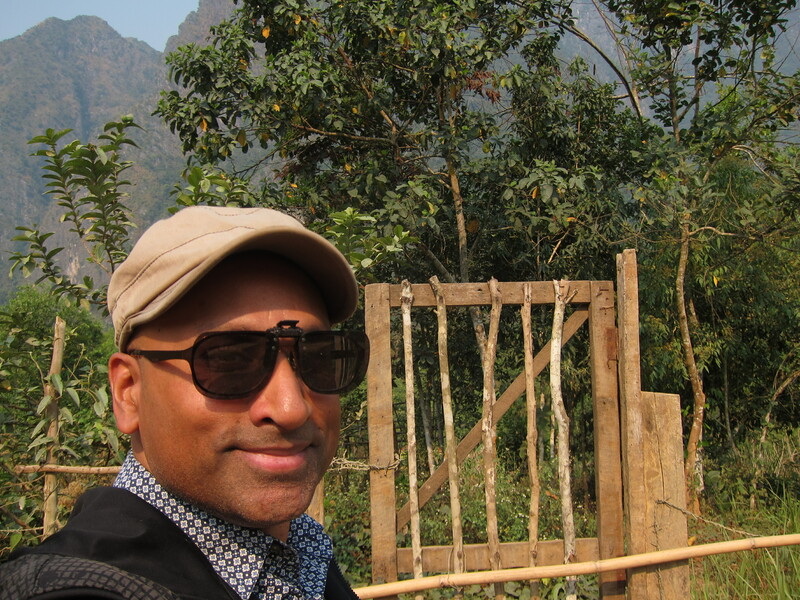 Finally, while in Hanoi I wanted to apply for a Chinese visa so I could go to Yunnan province, believed to be the place where tea (Camellia sinensis) was first cultivated. 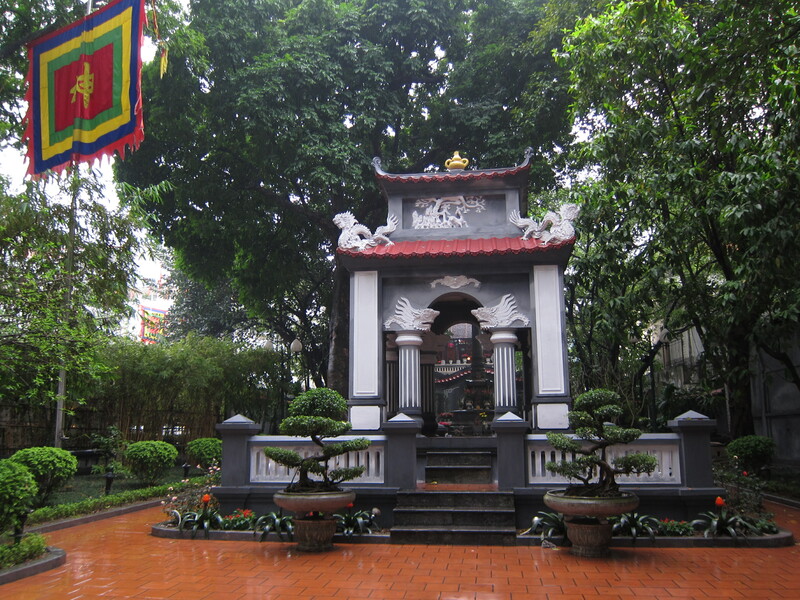 Monument of King Le Thai To (1385 – 1433), Hanoi. 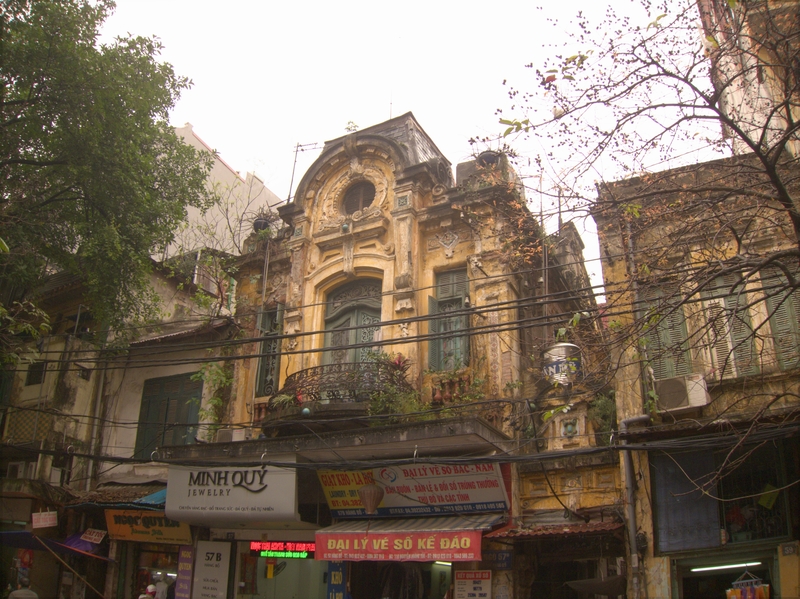 Since arriving in Hanoi a week ago, I had been spending most of my time in Hanoi’s Old Quarter, a maze of streets lined with French colonial architecture and choked with motorbike and pedestrian traffic. Other than the need to dodge motorbikes, ubiquitous almost everywhere in Southeast Asia, the Old Quarter was quite walkable. 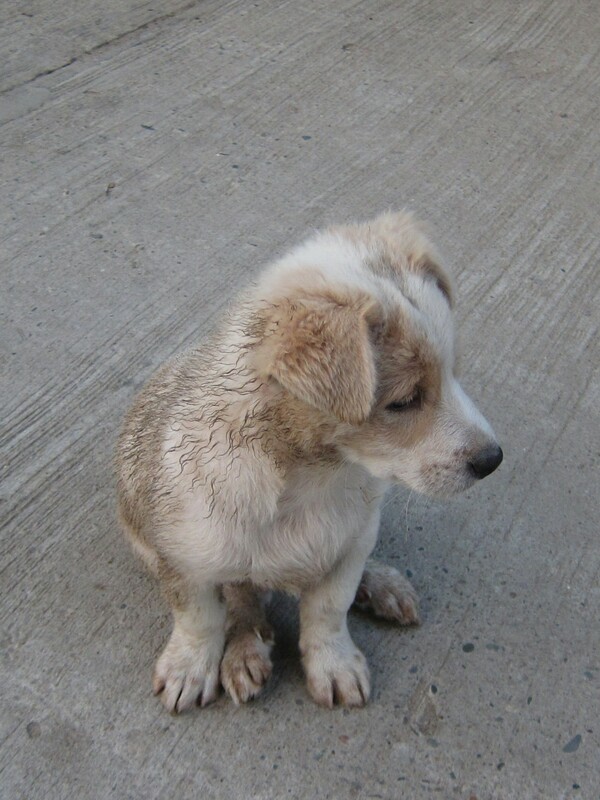 The weather was rainy and chilly when I first arrived in early March, but had become pleasantly warm a week later. 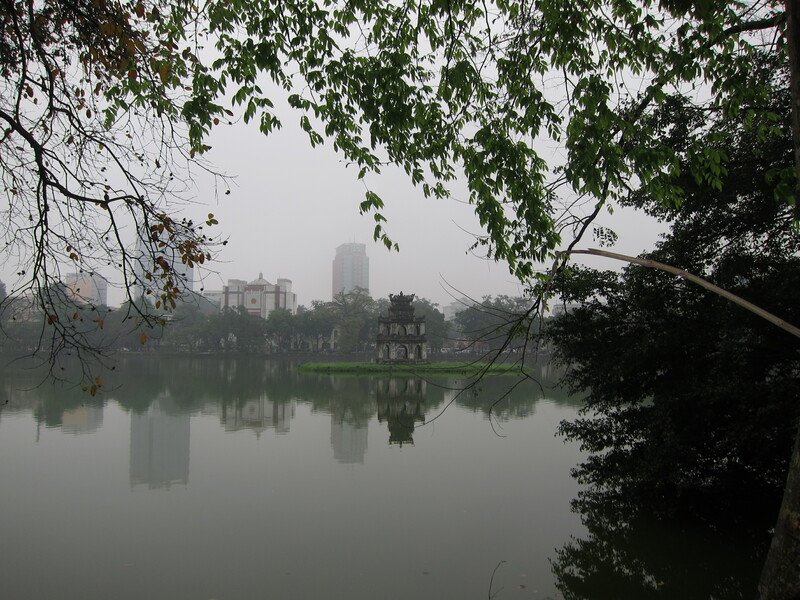 There are a number of sights to see in Hanoi, but I decided to skip the Ho Chi Minh Mausoleum and the government buildings and instead enjoy the simple pleasure of walking around the pretty Hoan Kiem lake and the Old Quarter, with its many quaint cafes and restaurants. 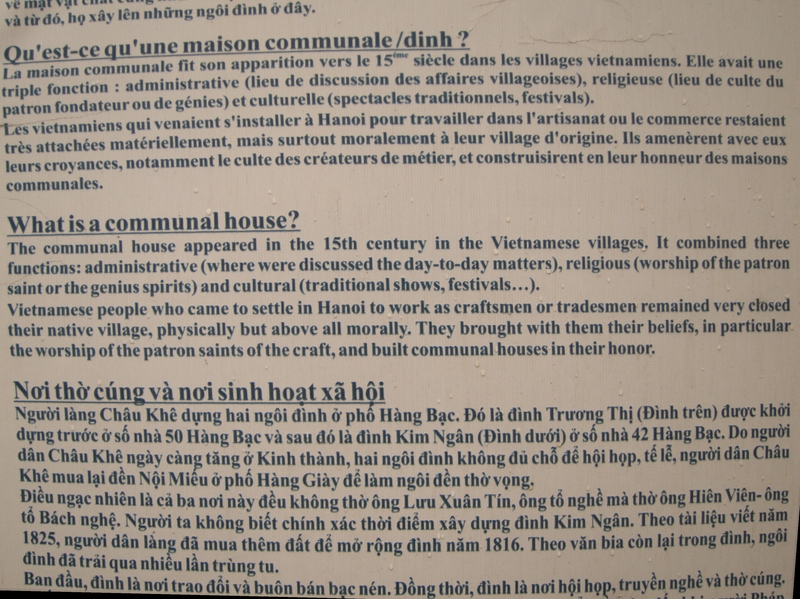 In the 13th Century, 36 Guilds were established in Hanoi. Each trade had its own street/district, and this legacy continues. My hotel happened to be near the contemporary hardware district! 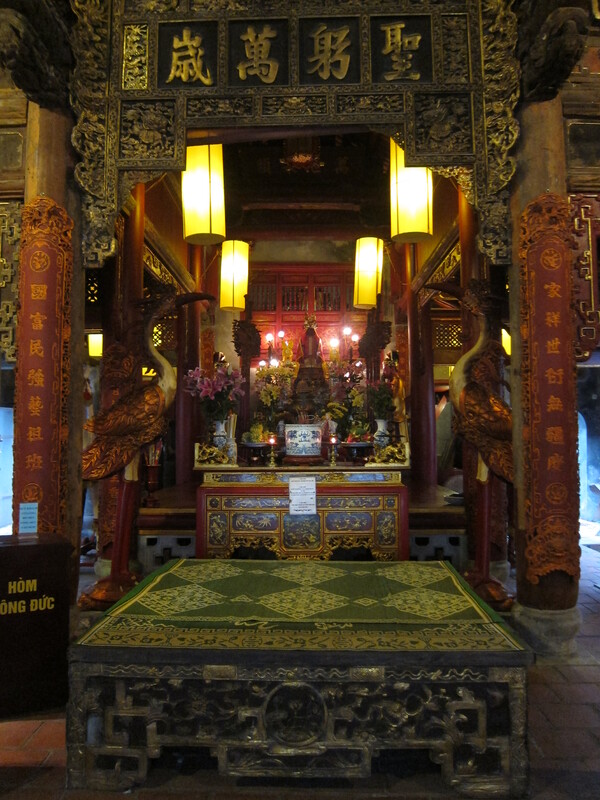 Altar at historic Jewellery Communal House, Old Quarter, Hanoi. I found a restaurant that had good vegetarian food. Above this restaurant was the Lantern Lounge, where I spent some evenings having tea while chatting with Joni, one of the hostesses there, who entertained me with tragic but darkly humorous tales about one of her foreign boyfriends in Hanoi. Yes, there is even a Stamp & Seal specialist! 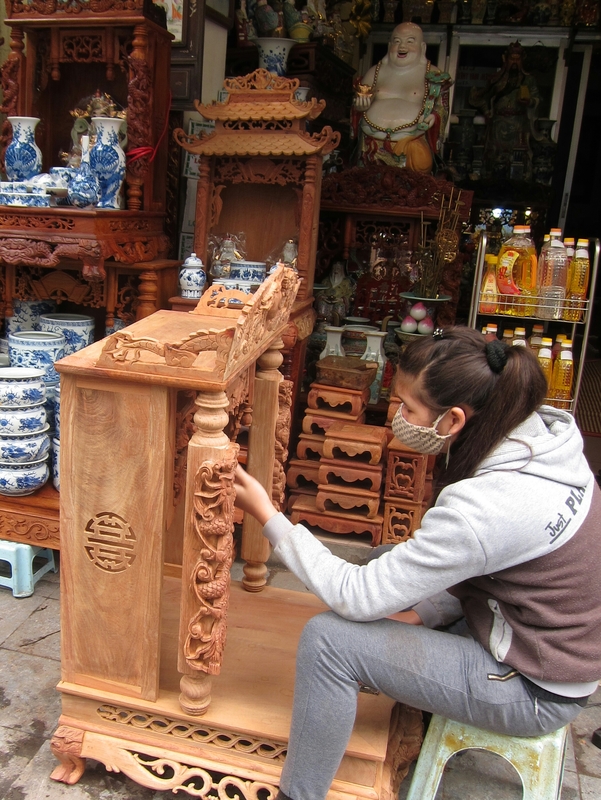 These details were hand-carved by a skilled craftsman. 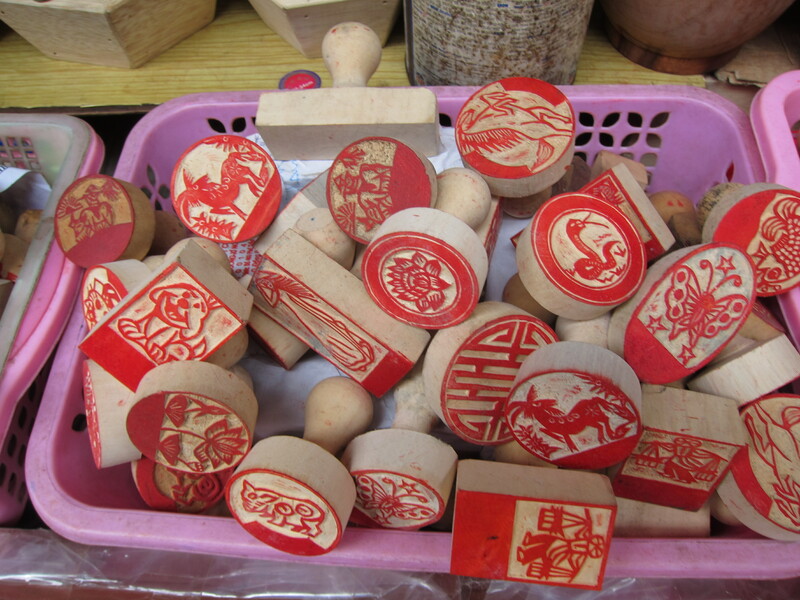 Here’s some interesting information on stamp carving in Hanoi. 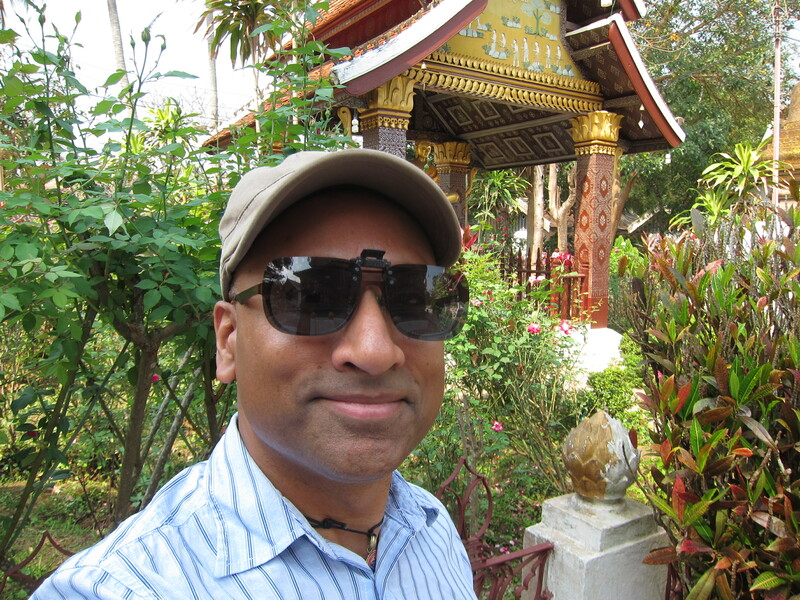 My original plan was to travel north from Luang Prabang to Phongsali, where the best tea in Laos is grown. While reviewing my transport options I realized that to get there would require two days of overland travel over mountainous terrain. I wasn’t in the mood for this so I looked for places to go that were less cumbersome to reach. 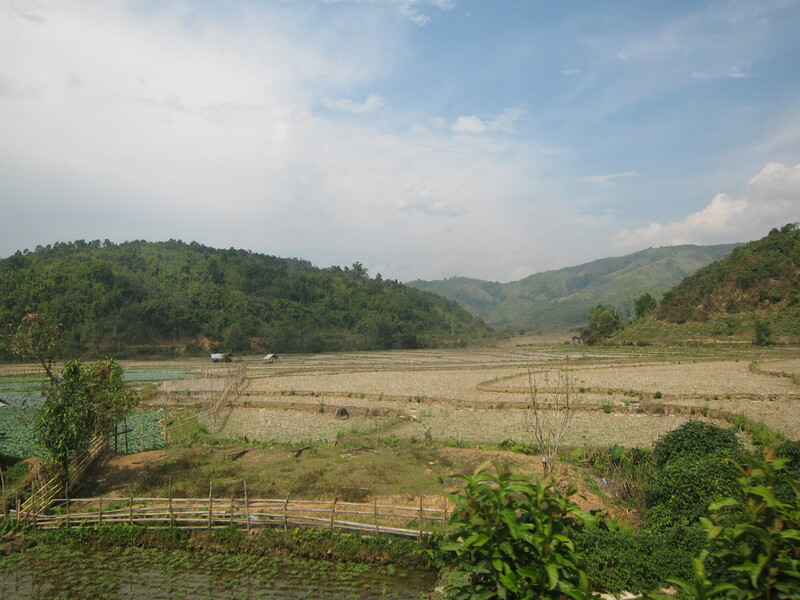 The owner of my hotel in Luang Prabang suggested I consider Nong Khiaw, about four hours’ driving northeast of Luang Prabang. After reading the positive recommendation in my guidebook and other travelers’ good reports on the internet, I decided to give it a try. 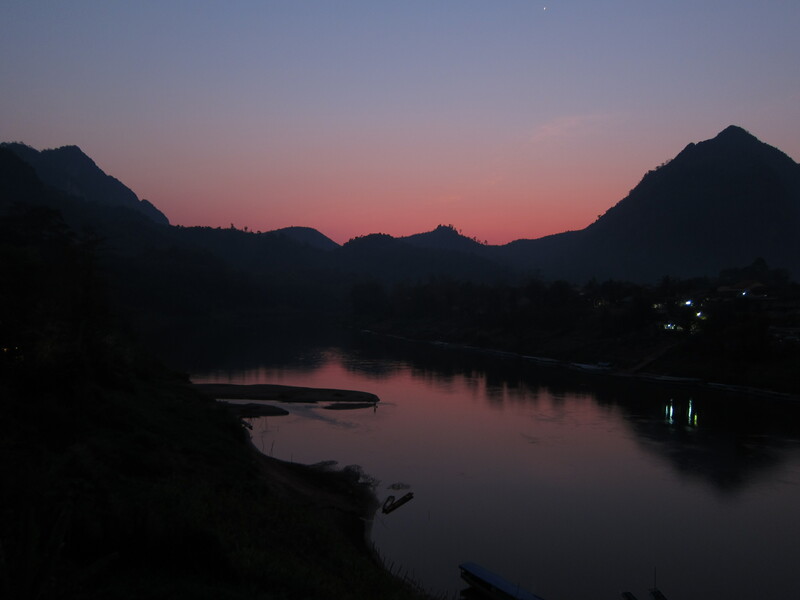 Dusk on the Nam Ou, near Nong Khiaw, Laos. 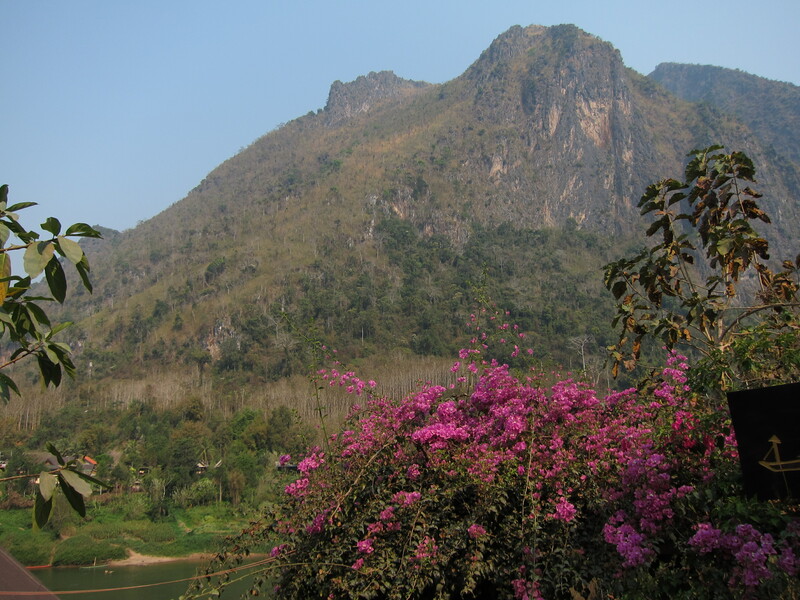 Nong Khiaw is a town on the Nam Ou (river) that is surrounded by dramatic limestone karsts. Lonely Planet said that it had only two streets, but when I arrived, I could find only one. Did this mean I was lost? After some thought, I decided I was not lost, since wherever I went, I still seemed to be in the same place. 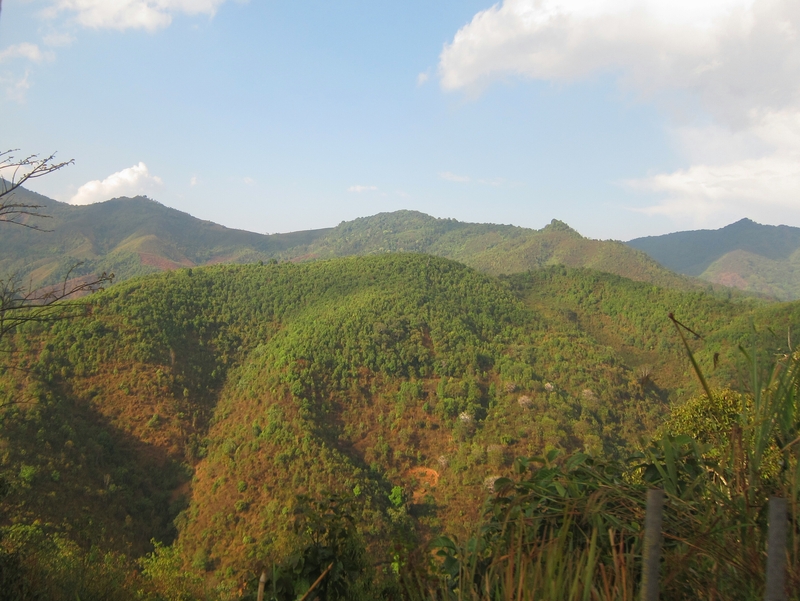 Nong Khiaw was indeed Very Small. (And, after some searching, I did locate the other paved street, and even a few smaller unpaved ones branching off from it). 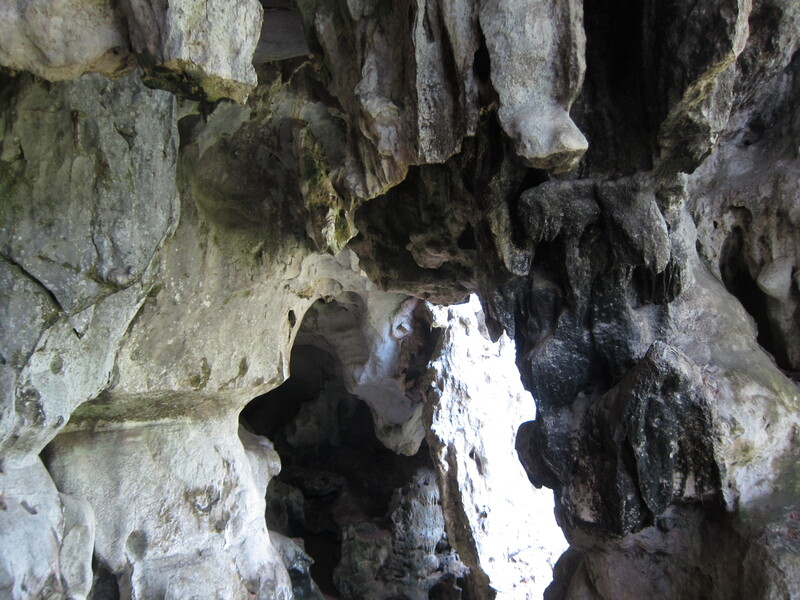 Yesterday I walked a few kilometers east to find some caves nearby. 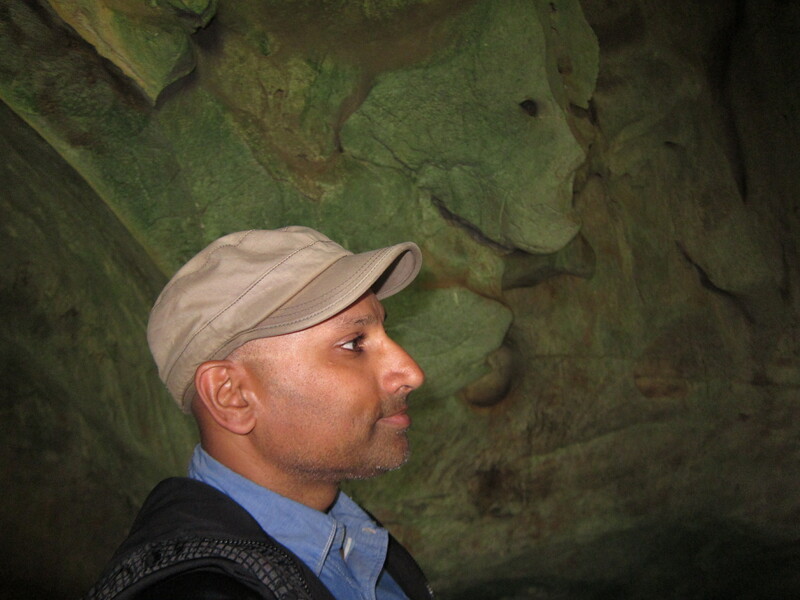 After paying five thousand kip (63 cents U.S.) for a ticket, I climbed up a steep staircase to reach the hollowed out areas in the cliffs. Today I walked a good distance in the other direction along a wide unpaved road winding around the nearby hills. 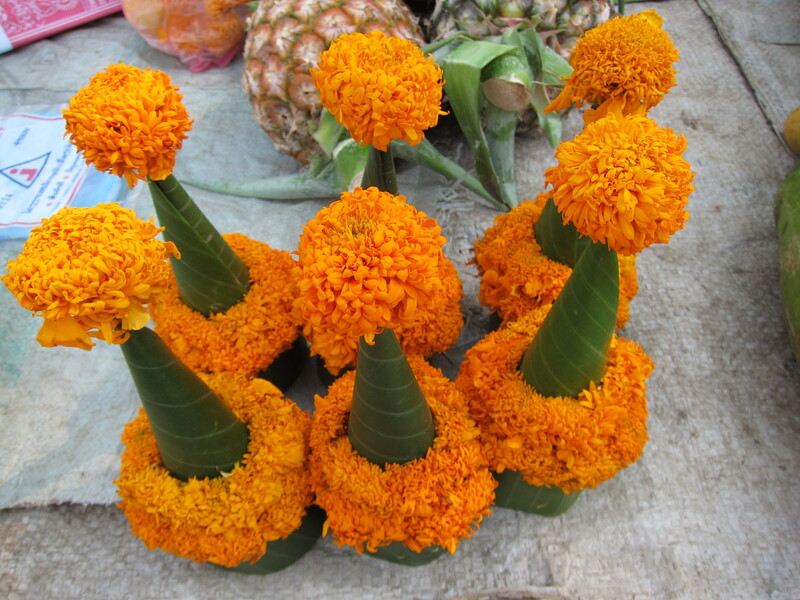 There was not a single Indian restaurant in Nong Khiaw; no, there was actually a pair of them! Two seemingly unrelated Muslim families from Chennai had set up shop next to each other, offering the typical “pure veg” and “non veg” fare. I tried them both, and was impressed. There were several other local restaurants catering to tourists, and they were clearly family-owned enterprises. It seemed every dining room had a children’s play area, with toys scattered across a blanket spread in a corner. At one restaurant as I was looking around for the wait staff I felt an object being set on my knees from somewhere below. I looked down and there was a menu on my lap, and behind it, the near toothless grin of a small person with soft, wispy brown hair (I learned later that she was all of 27 months old). 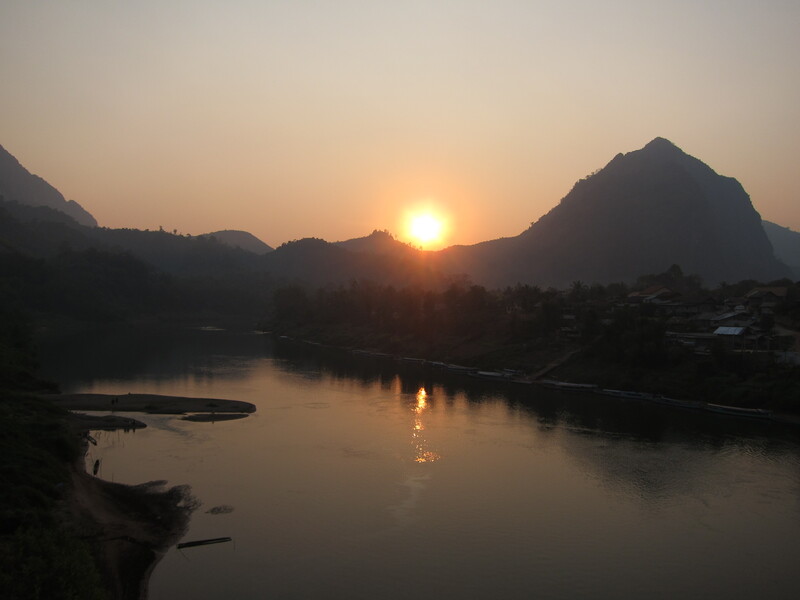 Sunset on the Nam Ou, near Nong Khiaw, Laos. 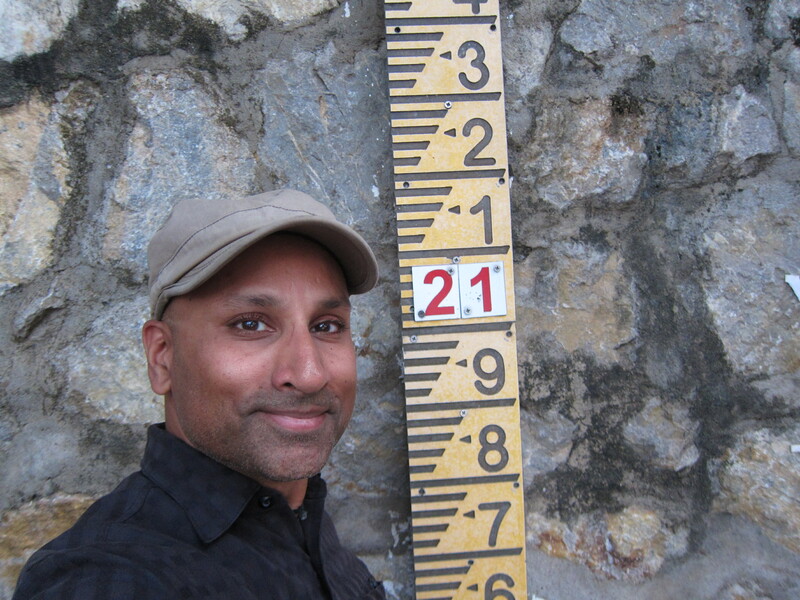 Through my travels I have grown tremendously. Here is the evidence. 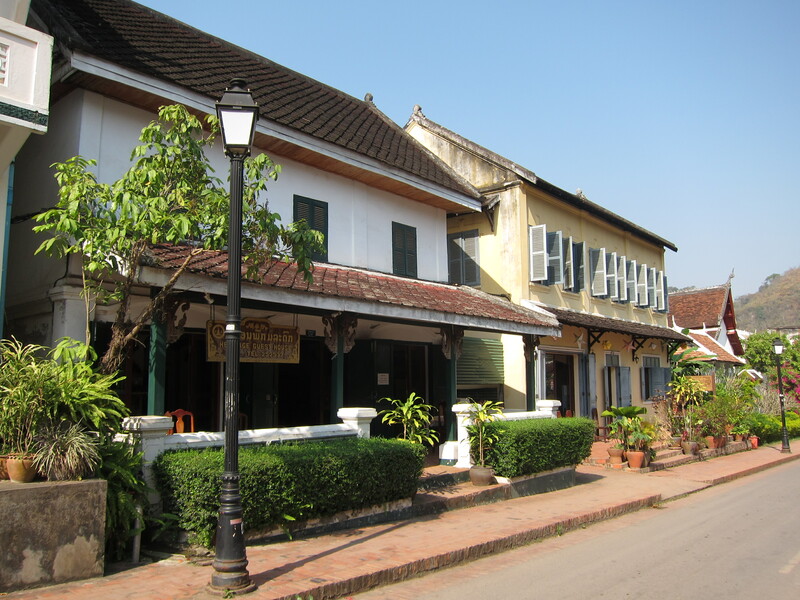 In addition to admiring the old vehicles, colonial buildings and monasteries, I visited some of Luang Prabang’s sites of historic and cultural significance, including the Royal Palace Museum and the Traditional Arts and Ethnology Centre (TAEC). 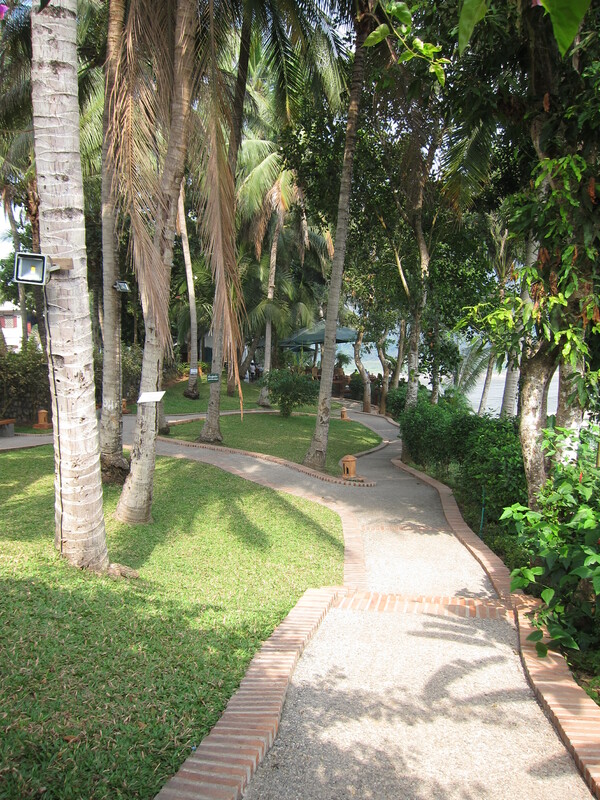 The Grounds of the Royal Palace Museum. Wat Ho Pha Bang, part of the Royal Palace Museum complex. 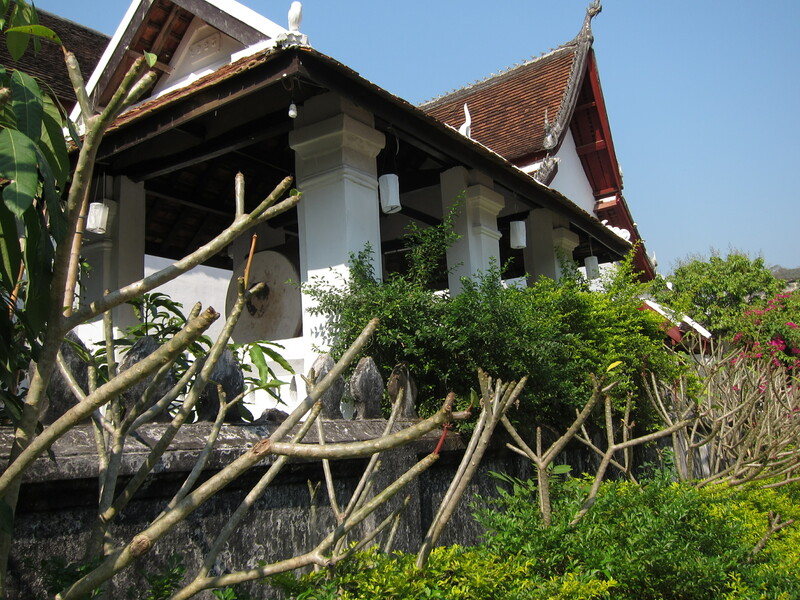 The Royal Palace Museum, the main residence of King Sisavang Vong (who ruled Laos in the early to middle 20th century) was fairly unremarkable. The rooms were oversized, with very high ceilings; there were the requisite oversized portraits of the King and Queen; there were some pieces of oversized and ostentatious furniture and various objets d’art. In the garage out back were four former “Royal Vehicles” in various stages of disrepair; a sign indicated that photos were prohibited, which was fine with me since the cars were not very photogenic. 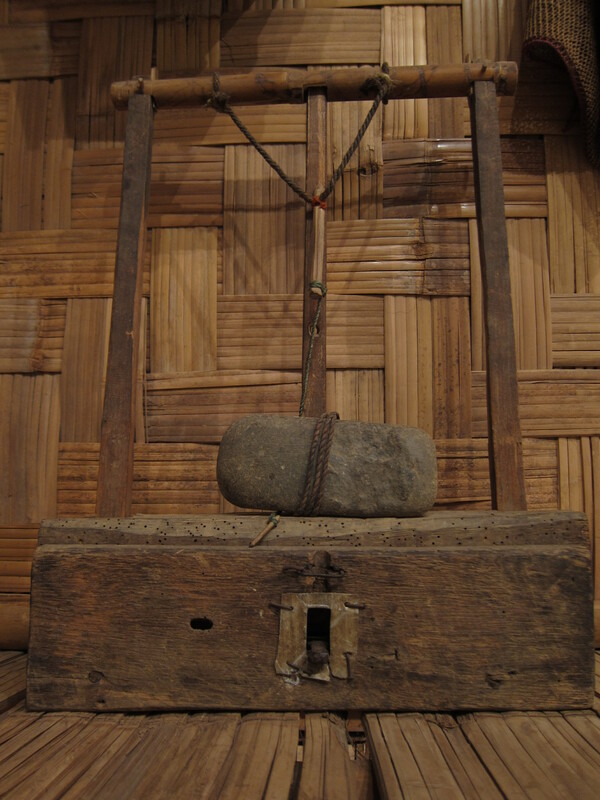 Rat trap made by Kmhmu Nguan group. 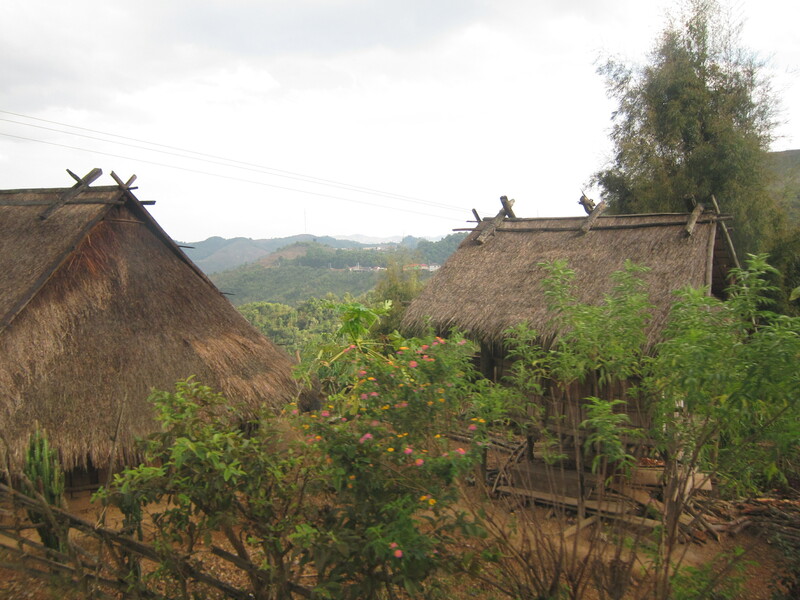 Sakap Village, Luang Namtha Province. Wood, bamboo, stone. On contrast, the TAEC museum was small but excellent. 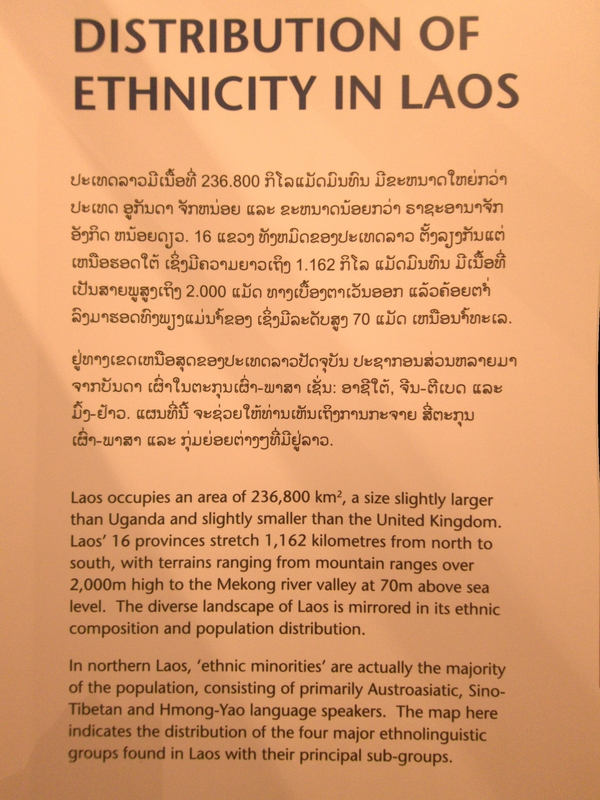 It provided a brief but thoughtfully curated overview of the various ethnic groups in Laos, with particular focus on the hill tribe cultures, of which there are many. 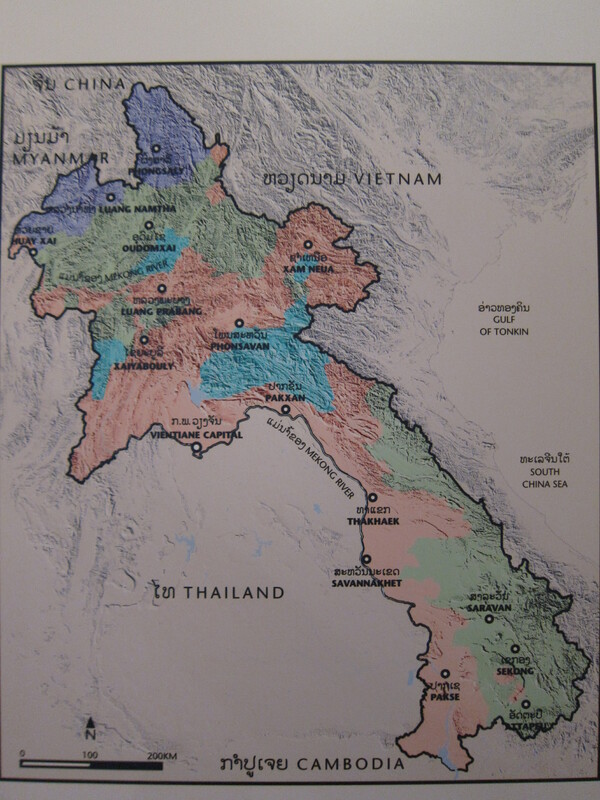 I learned that there are over 100 ethnic groups and subgroups in Laos today. About one-third of the exhibit focused on the important role of women in their respective societal groups. There was a nicely detailed explanation of an ongoing project (called “Stitching Our Stories,” in English) in which women and girls are documenting their experiences through digital media and are provided with resources and mentoring to support this work. 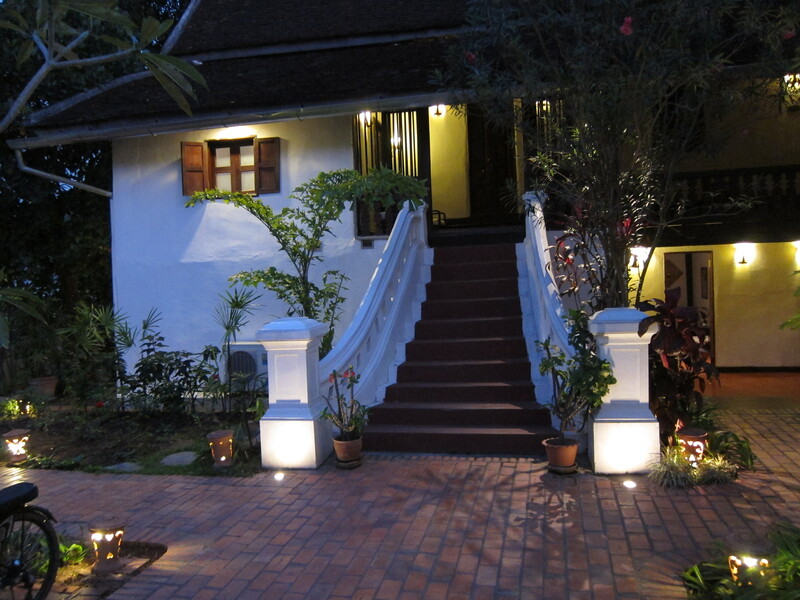 From TAEC Museum, Luang Prabang. 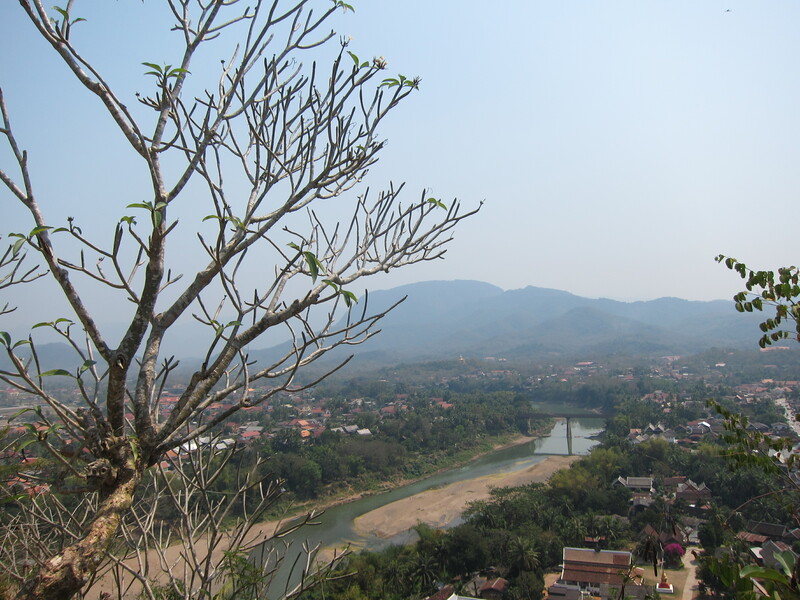 View from top of Phu Si Hill, Luang Prabang. I got some exercise by making the short climb to the top of Phu Si Hill, across from the Royal Palace Museum. There is a small stupa at the top of the hill, and when lit by floodlights at night it appears to float eerily in space above Luang Prabang. I thought these were plastic. Then I saw the group of women skillfully stitching them together from banana leaves, flowers and dried plant stems. Disappointed that I didn’t want to hang around and play. I found fascinating images around every corner in Luang Prabang, so in addition to seeing the “official” sights I spent some time each day wandering about and taking photos of anything that looked interesting to me. 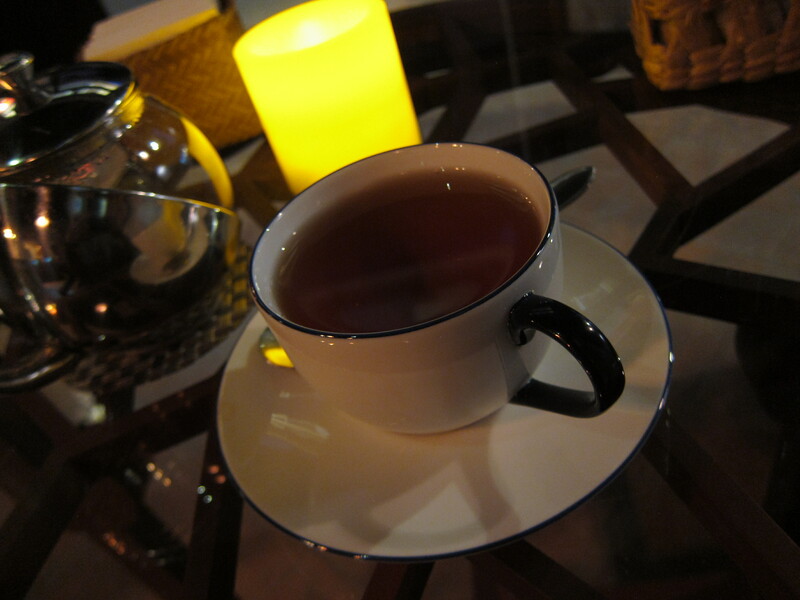 Having a Chinese Lapsang Souchong tea at Chez Matt, Luang Prabang. I asked this family if I could take their photo, and they just smiled. Must be the language barrier. Most of the vehicles in Luang Prabang are two wheelers: motorcycles, scooters and bicycles. 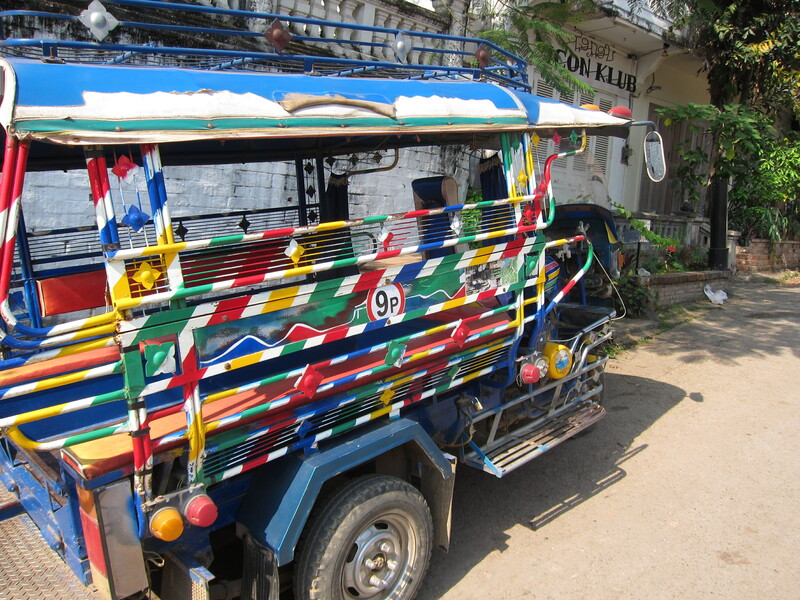 The public transport consists mostly of tuk tuks (for local trips) and minivans (to shuttle tourists to the sites outside the city). 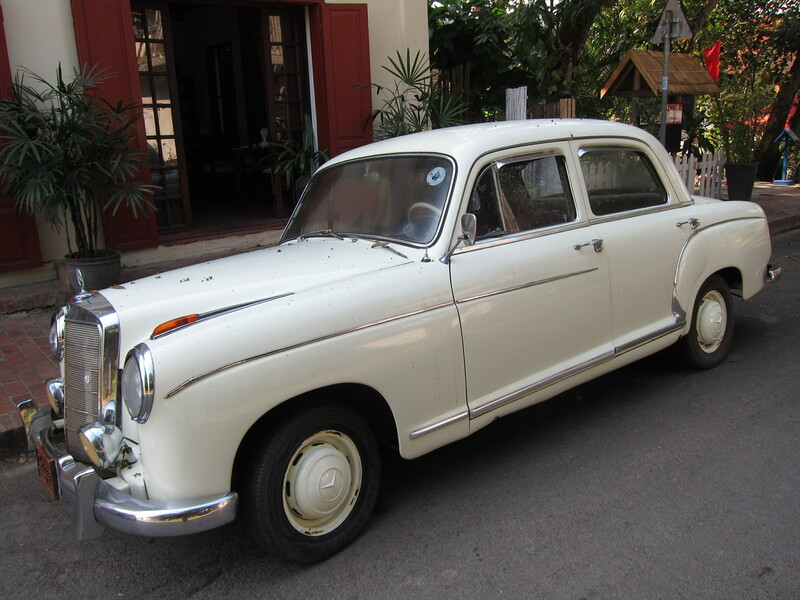 There were relatively few cars in Luang Prabang. 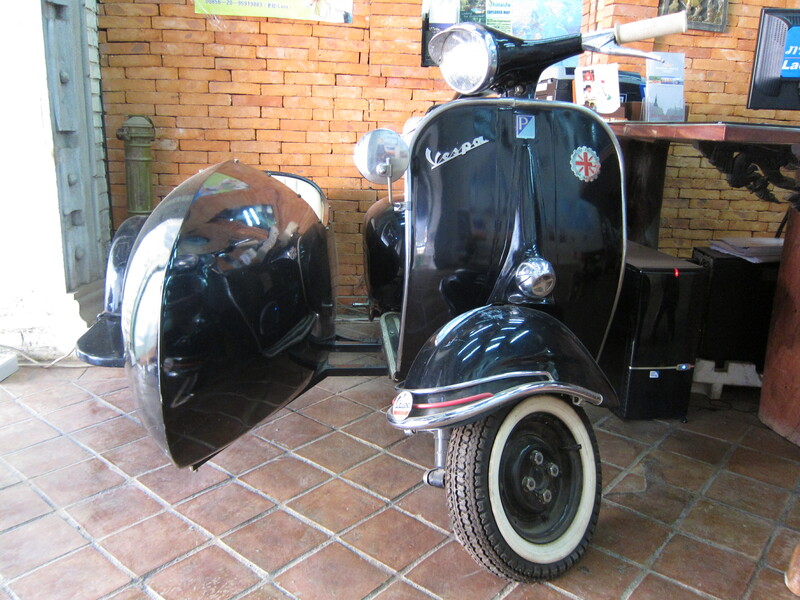 Old Vespa with sidecar on display in office of tour company in Luang Prabang. As I walked around I noticed some unusual vehicles and I had fun taking photos of them. I hadn’t seen one of these old VW Beetles in a long time. 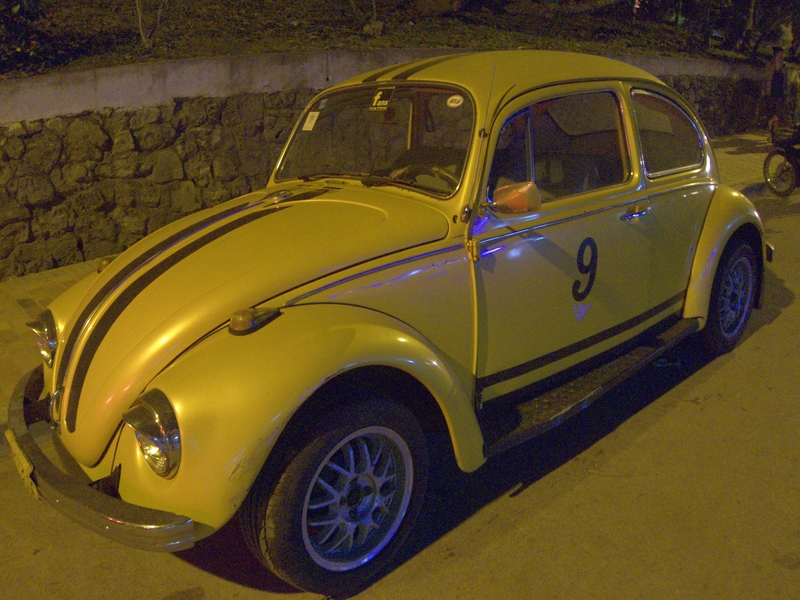 I think Mexico City still has hundreds of them serving as taxi cabs. 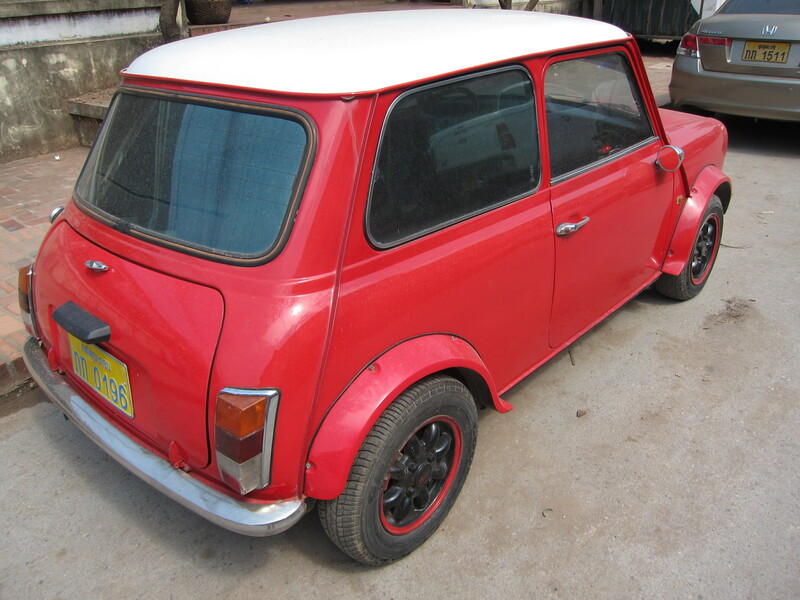 At first I thought this was an old Mini, but on second thought it might be a Fiat. I could find no branding symbols on it. 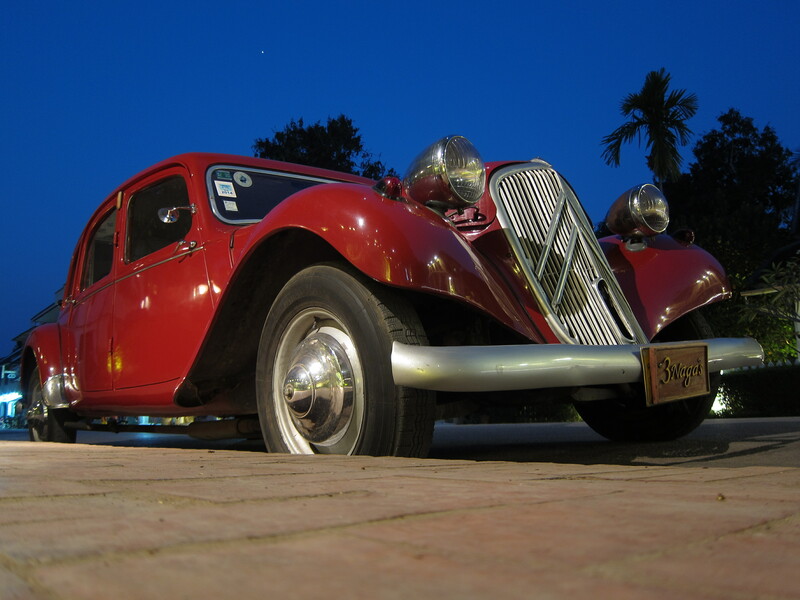 Citroen Model 11 Family Version. France, 1952. 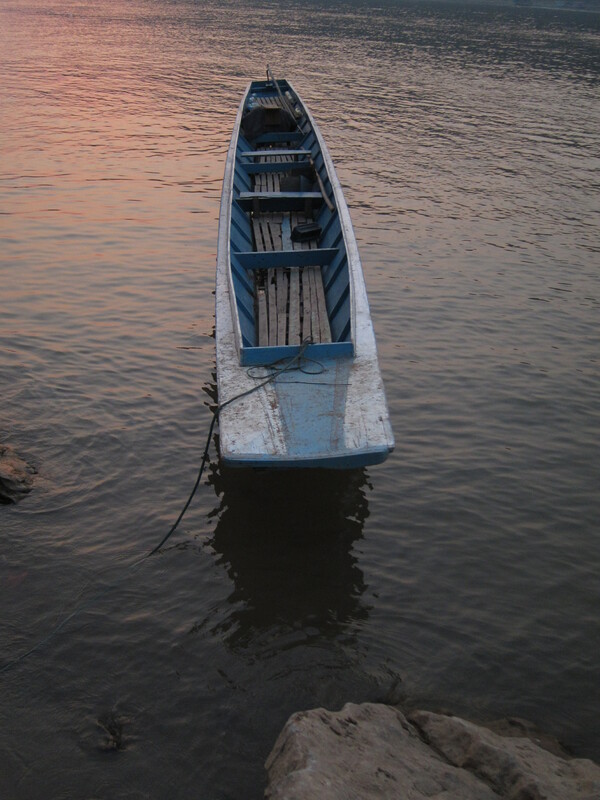 A veteran river vessel at rest after a hard day’s work. 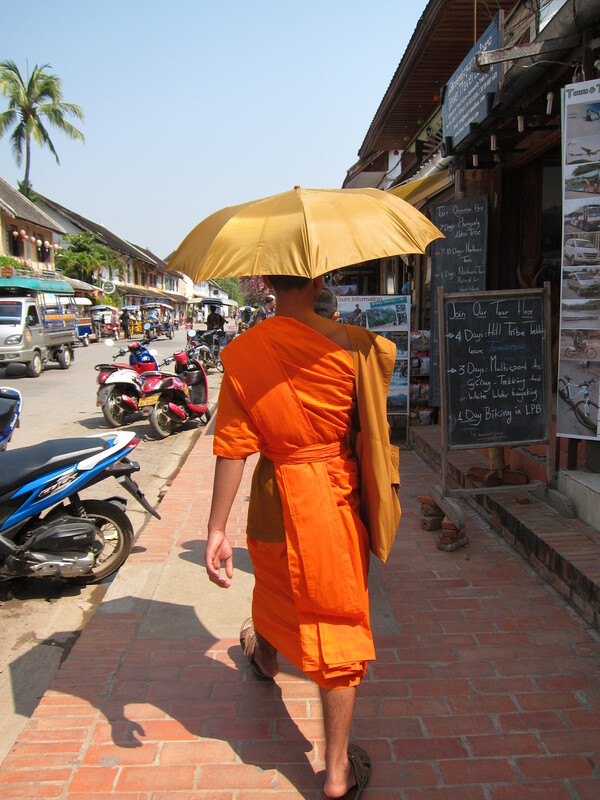 Luang Prabang is without a doubt a very touristy town. After reviewing much travel literature lauding its esthetic, historical and cultural significance, I wondered if I would be disappointed with the reality of the place. But I found that it matched its reputation. 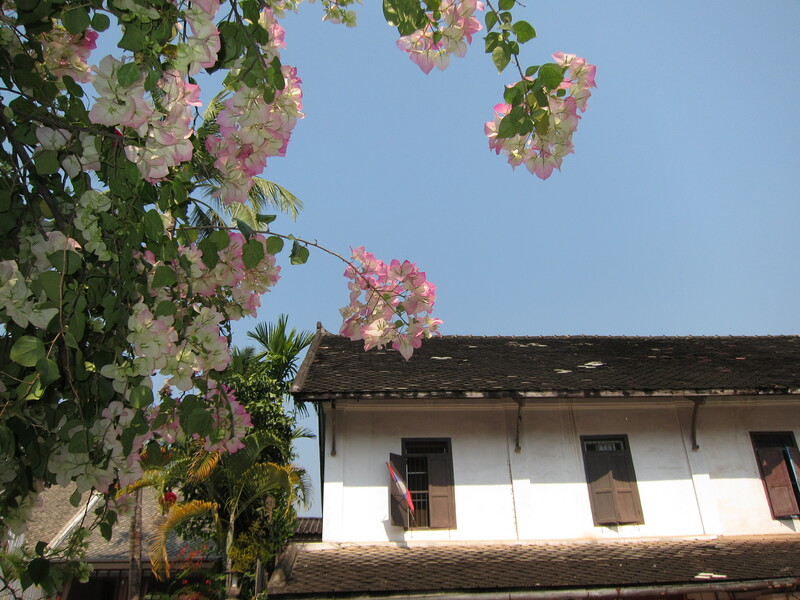 Luang Prabang, near the intersection of the rivers Mekong and Khan. 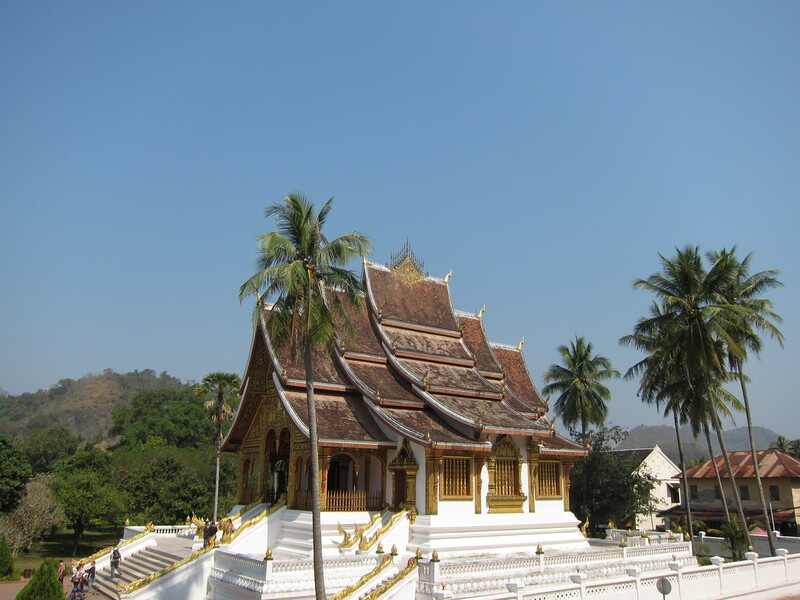 A UNESCO World Heritage site, Luang Prabang is characterized by peaceful Buddhist monasteries and quiet streets lined with pretty French colonial villas. During my stay the town was crawling with tourists and it was evident that the local economy was almost exclusively focused on serving us. Still, though I was visiting during the touristic high season, it did not seem crowded or overdeveloped to me. 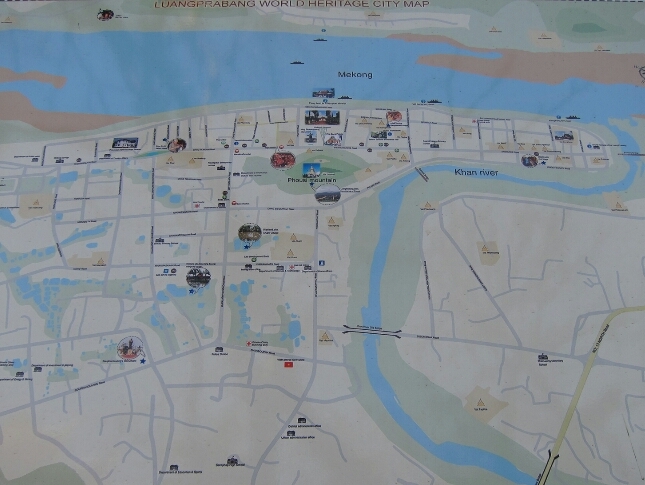 The guesthouse where I stayed is located approximately in the center of this map. 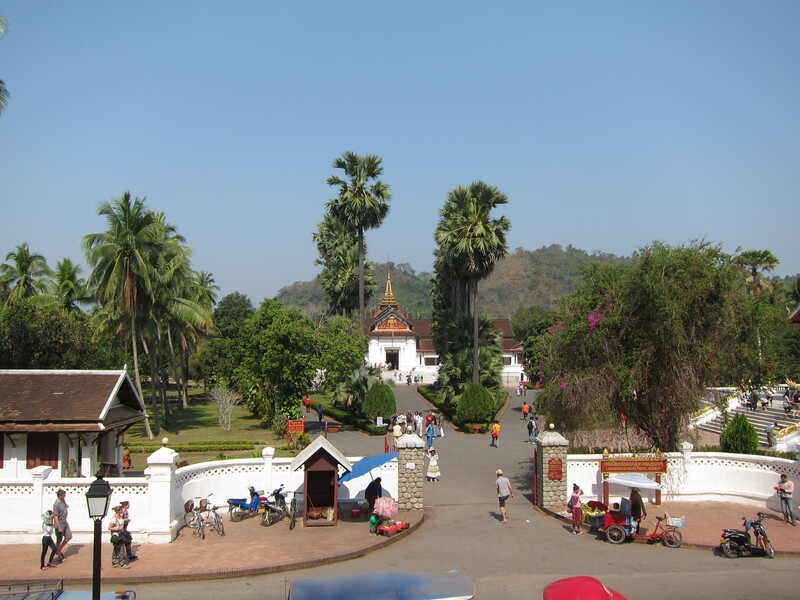 The central area of Luang Prabang lies on a slim peninsula created by the merging of the Khan River into the Mekong. Most tourists moved about the city on foot or bicycle, thus limiting motorized traffic. 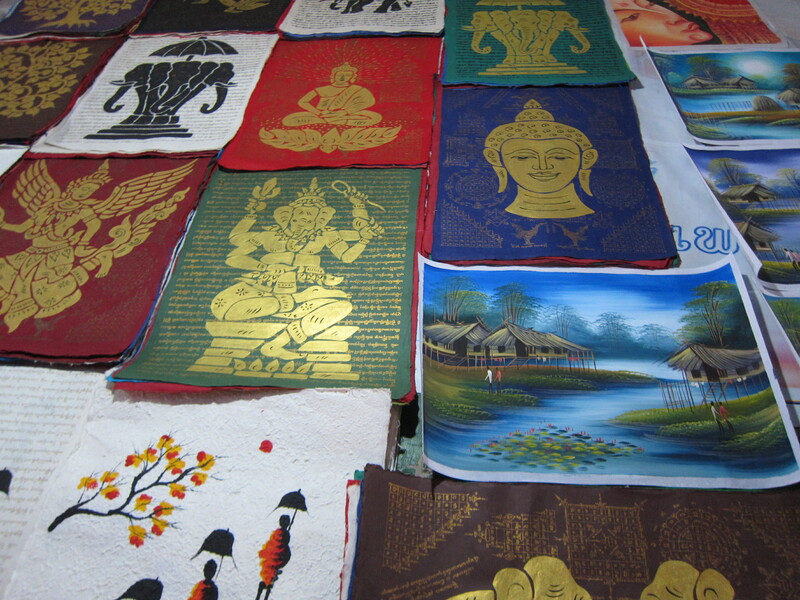 The Night Market, Luang Prabang. There was a bustling night market on the main road consisting of an endless line of stalls covered by tarpaulin tents, under which the vendors, mostly women, displayed their colorful wares. 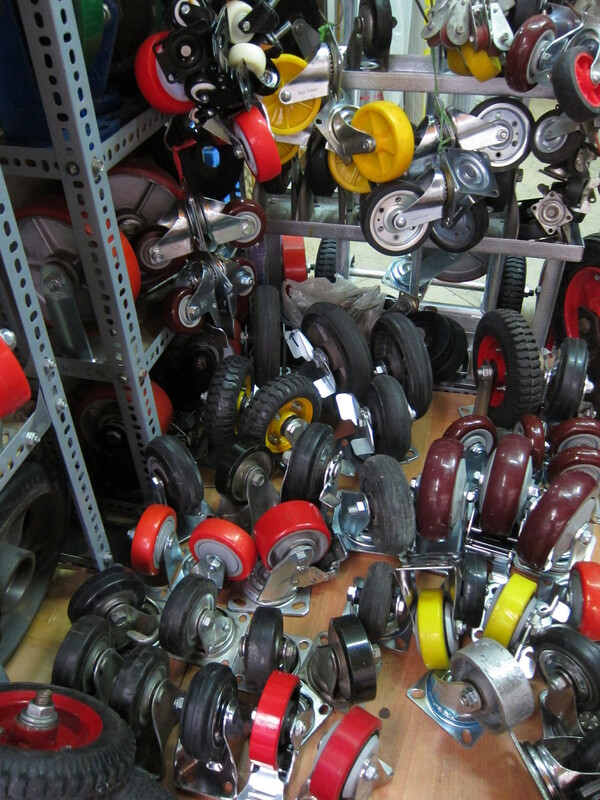 When business was slow, they would curl up for a nap or play with their babies. 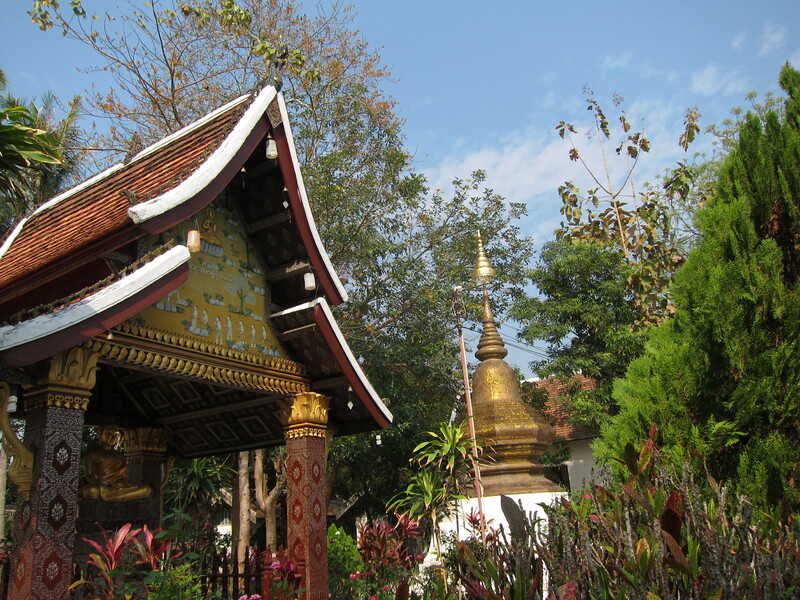 As far as getting a glimpse of the culture and lifestyle of the majority of Laos, Luang Prabang was probably the furthest thing from authentic. 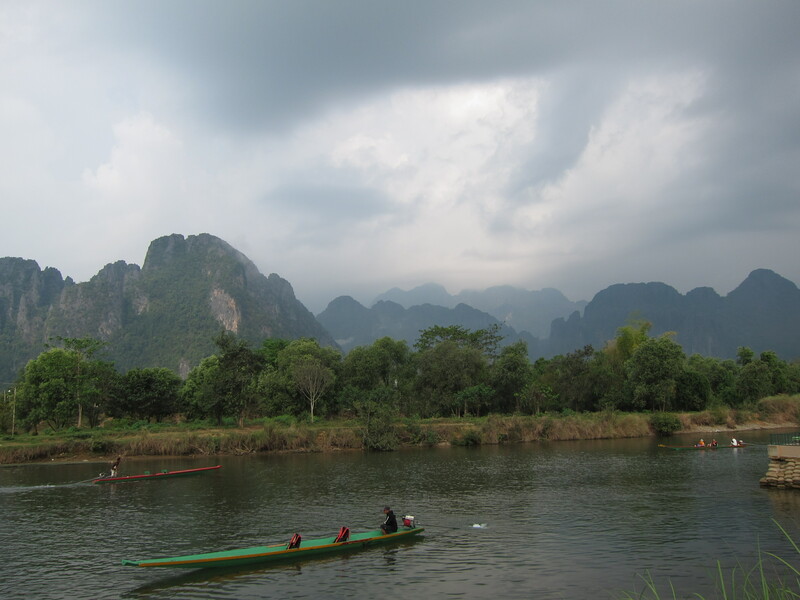 But in contrast to Vang Vieng (and many other tourist havens I have visited), I perceived a healthy energy and respectful interplay between the locals and the tourists. 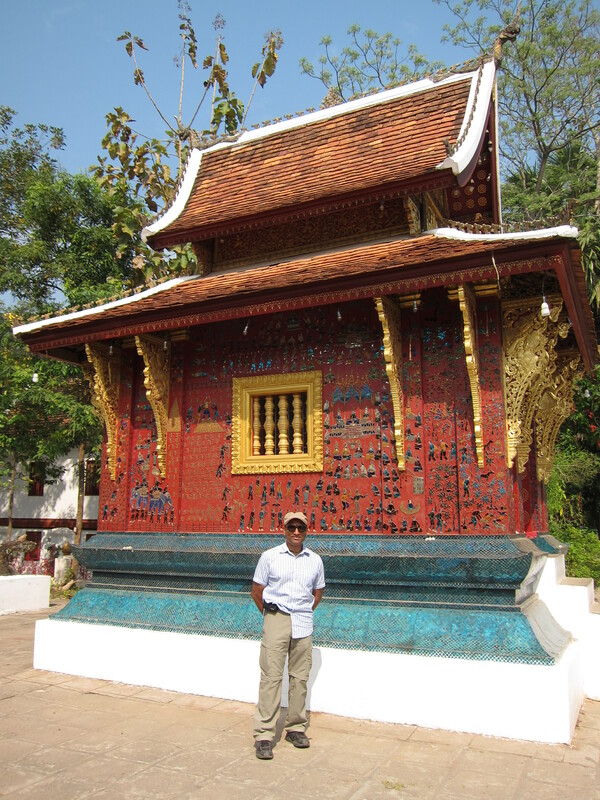 A tiny corner of Wat Paphaimisaiyaram. I am a follower of this monk. 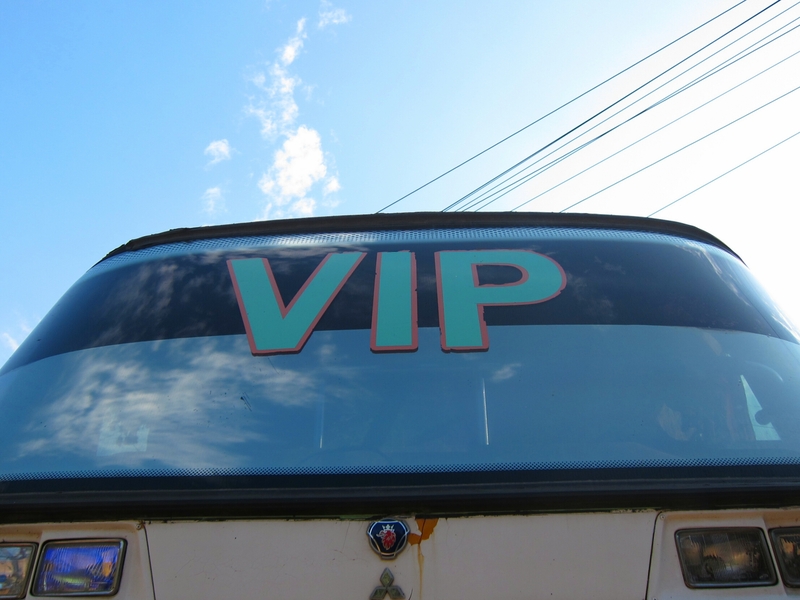 The “VIP” Bus from Vang Vieng to Luang Prabang, Laos. 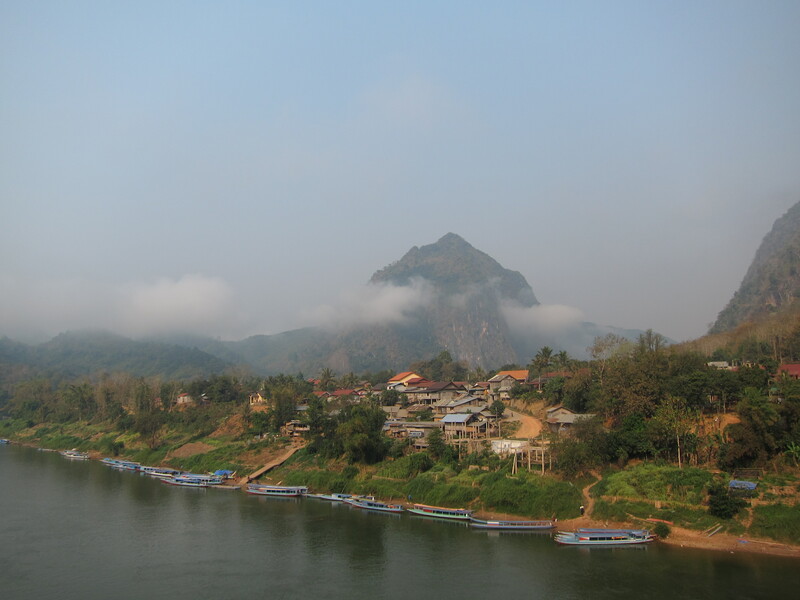 Luang Prabang is around 200 km north of Vang Vieng, but driving there takes several hours because of the hilly terrain. There were two options for mass transport between the two cities: shared minivan or “VIP” bus. I opted for the VIP bus, based on my prior experience that minivans plus hills equals queasy not easy. 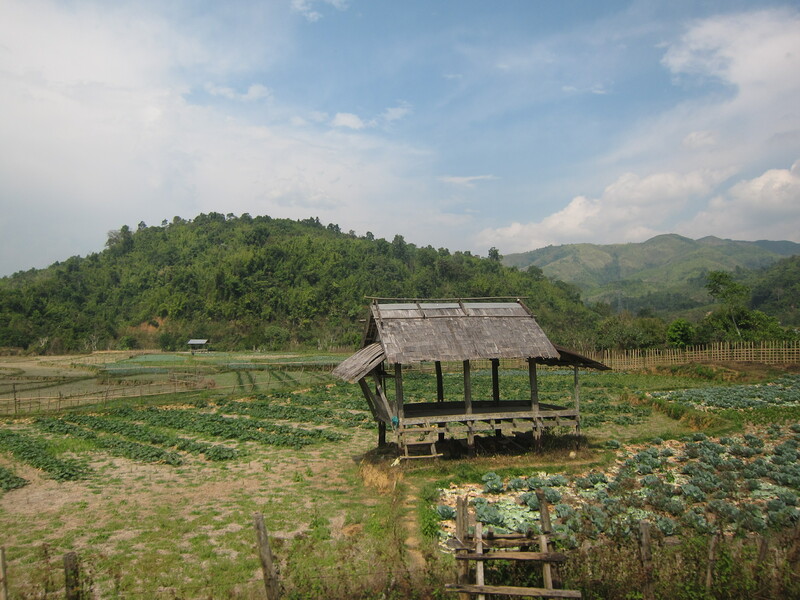 Vang Vieng to Luang Prabang, Laos. The “VIP” bus looked like it had seen better days. The cooling system put out musty air and operated with a near constant whine coming from somewhere in the back of the bus. The seat covers were not only worn but torn too. But the bus appeared sturdy and throughout the journey I experienced no motion sickness. At least, not while we were actually in motion. About an hour into the journey we had a breakdown. I was unclear as to the exact nature of the problem but it had something to do with the right rear inner wheel. The driver stopped the bus and a round of inspections ensued as driver and conductor slid themselves under the bus to explore the bottom of the chassis. The bus needed to be moved forward to more level terrain and for some reason it would not start on its own so all the men in the bus were instructed to get out and push. We pushed, the clutch was engaged, and the engine sputtered to life long enough for the bus to be repositioned. 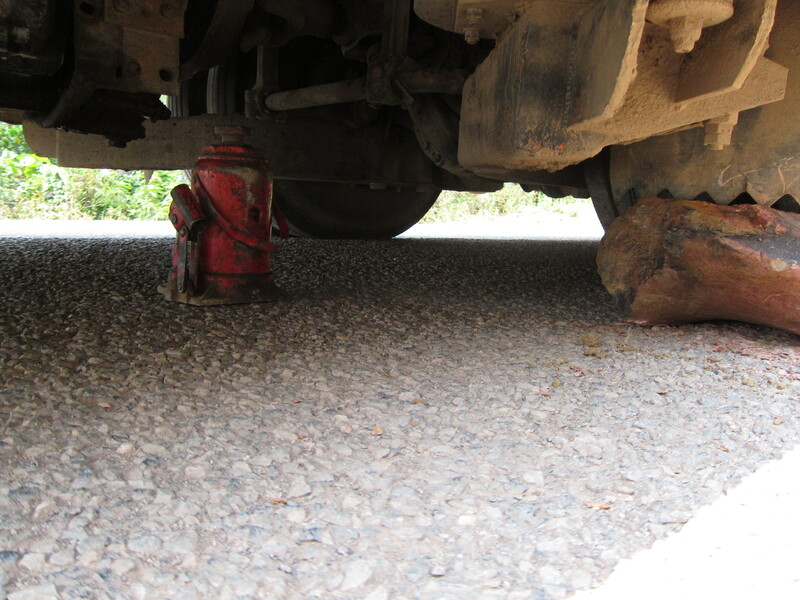 All the passengers alighted and some suitably sturdy rocks were positioned behind the outside rear wheel, then the driver eased the bus onto the rocks to allow better access to the undercarriage. About an hour later we re-boarded and resumed our slow meandering up, down and around the hairpin bends until we reached Luang Prabang just after sunset. Moving along. Shutter speed of 1/800 does the trick! Not sure what they’re growing but I like the color. 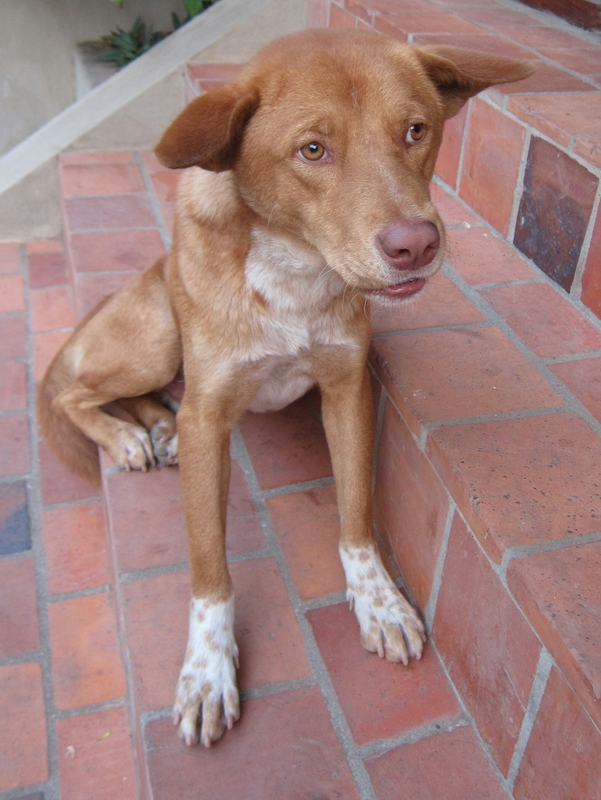 She entertained me with a story of how she and her friends tried the “Happy Pizza” at a restaurant in Vang Vieng (the “happy” meaning it was apparently laced with marijuana) resulting in a mass trip to the emergency room due to uncontrollable vomiting. (Personally, if I want to vomit, I’ll just take a minivan through the mountains, thank you – no Happy Stuff needed!). 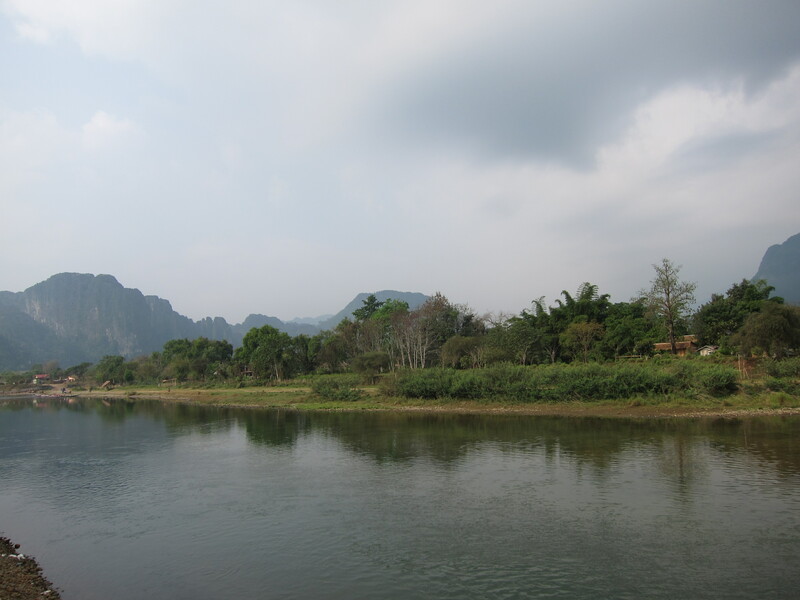 Nam Song (River), Vang Vieng. 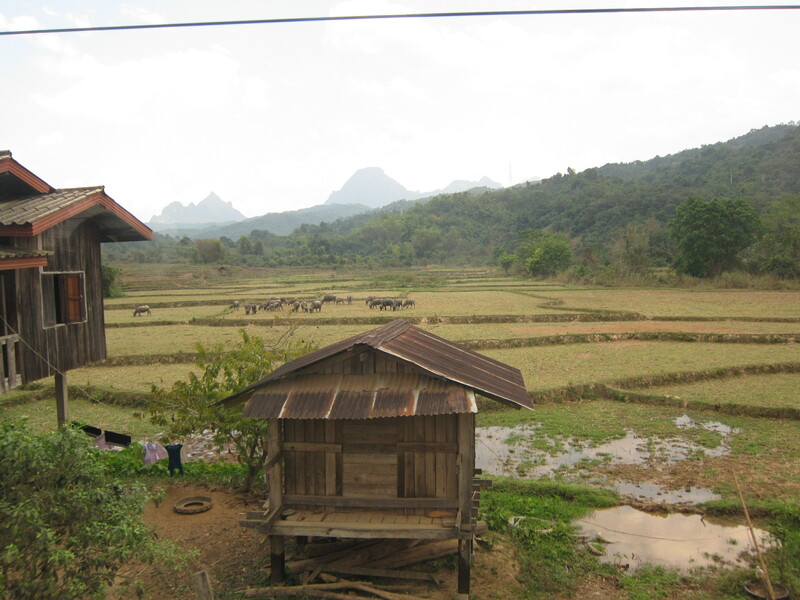 I stopped in Vang Vieng for a few days en route to Luang Prabang. 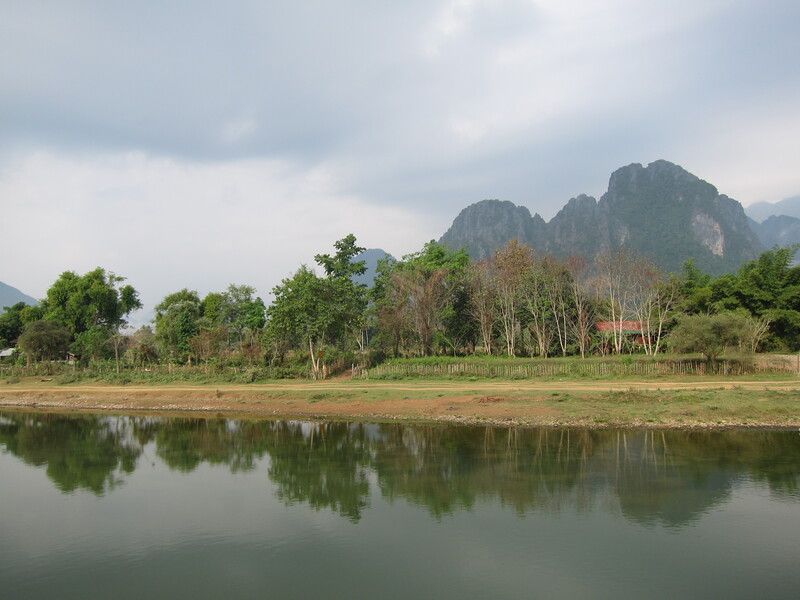 Vang Vieng is a small town surrounded by natural beauty, set on the picturesque Nam (River) Song near hills and limestone karsts. 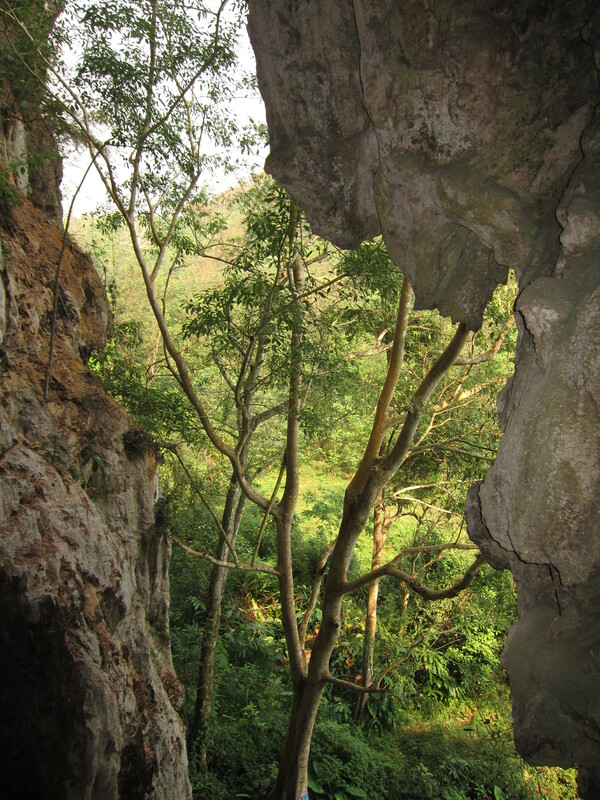 Another view of the Nam Song. 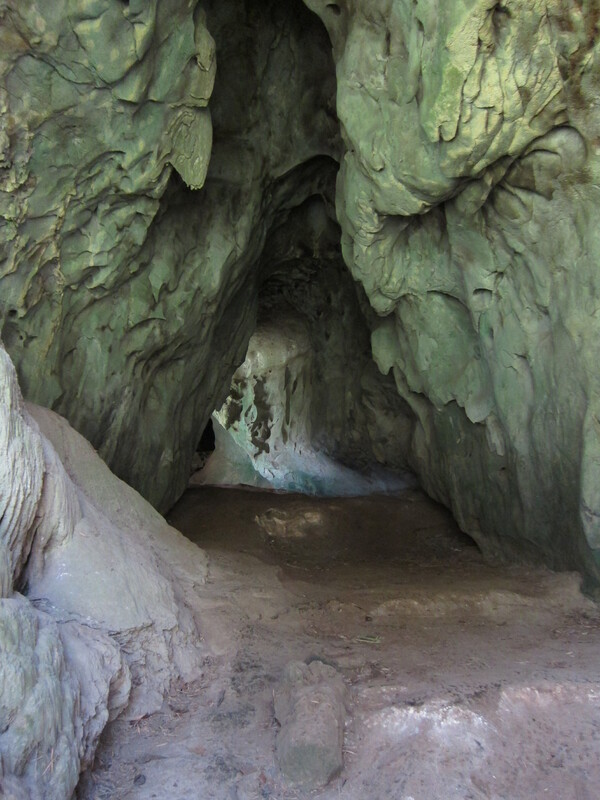 Numerous agencies in town offered all manner of tours, including kayaking, caving, tubing, trekking and biking. However I decided to pass on these opportunities and spend time simply walking around and appreciating the river and the scenic views. Unfortunately my plan for a peaceful few days was foiled by a gigantic party in the paved courtyard of my hotel just outside my room. Somewhere between fifty and a hundred relatives had gathered to celebrate the death anniversary of an ancestor, and it was far from a somber occasion. The festivities began the afternoon I arrived and continued, day and night, for the next 48 hours. My eardrums were under constant assault by a diverse range of sounds, from the joyous laughter of a family gathering to the upbeat, rhythmic thumping of Lao pop music, and (all night, until dawn) a seemingly endless call and response chanting that I presumed was part of some kind of Buddhist prayer vigil. 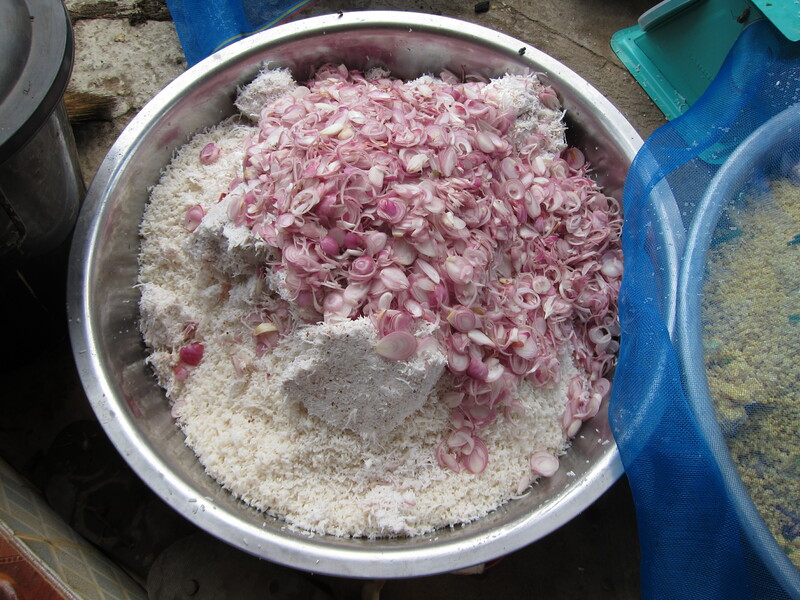 In the daytime, every time I left or entered my room I had to squeeze past large ice chests then thread my way through an obstacle course of squatting women chopping vegetables, dressing huge bowls of rice, and tending cooking fires. 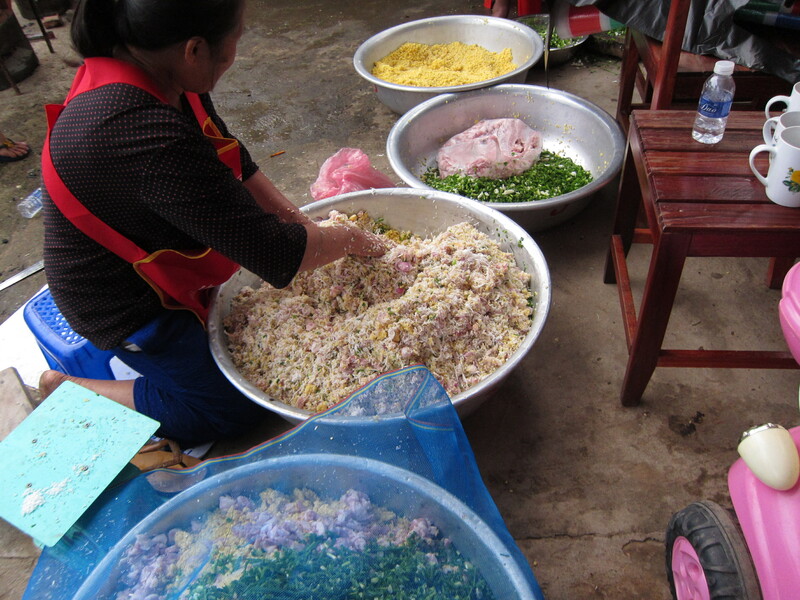 Giant bowl of rice being prepared outside my hotel room. After some badgering I finally got the hotel manager to move me to a room across the street. For a brief time I was furious with the hotel for knowingly putting me in a location that was not only incessantly noisy but awkward as well. But I was able to calm myself down and appreciate that this was a significant and meaningful event for the community of celebrants. The hotel may have made a bad decision regarding my lodgings, but I am sure the eulogized ancestor appreciated the auspicious energy generated by his or her descendants. 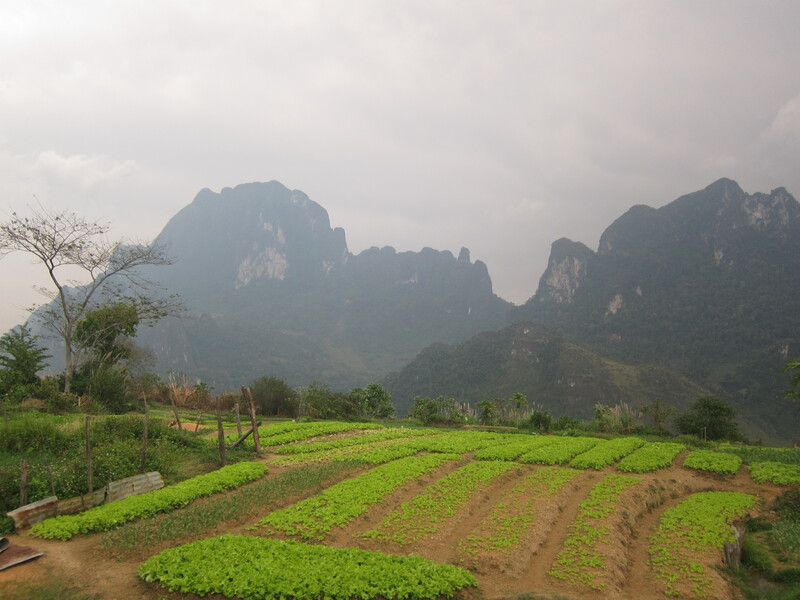 Nam Song, Vang Vieng, Laos.